You’ve looked on eBay, Amazon, and Etsy. You’ve scoured all over the internet. Yet, you can’t find anything nearly as beautiful as the Edwardian Fashions worn by the characters on everyone’s favorite Sunday-night soap opera, Downton Abbey. The fashions on Downton Abbey are true to their time period. Women would change sometimes three times a day in order to look their best at events and fit in with the crowd. Their dresses were elegant, and each served a specific purpose. Evening gowns were separate from day dresses which were separate from travelling clothes. All around, a woman’s changing schedule could be as rigorous as her daily schedule of social commitments to visiting people and receiving guests. Today, these fashions can all be hard to come by. While you can find authentic clothing on some sites, the dresses are yellowed with time and besides, you don’t want to wear an ancient artifact that you’re worried about tearing. But, it’s increasingly more and more difficult to find gowns that are made in the present, but still reflect the elegance of the past. Recollections can help, though. Our quality, handmade clothes are researched in detail, so they are true to Edwardian Fashion and also customized for you. 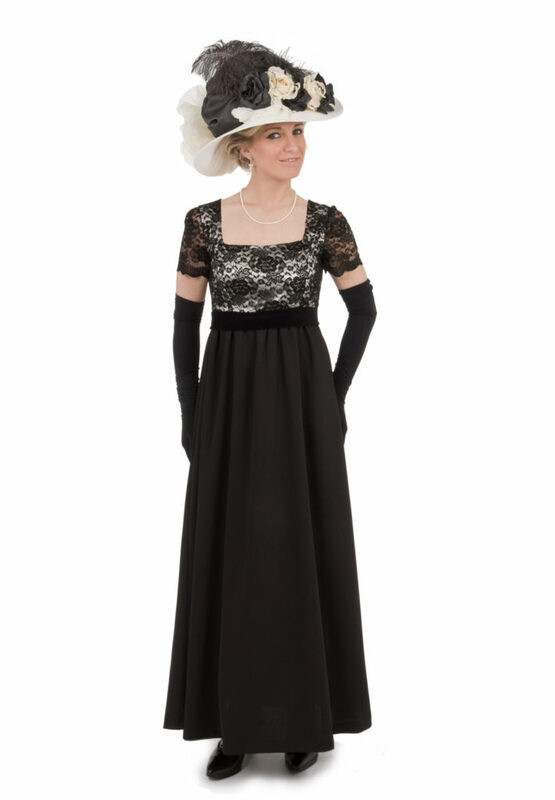 Below, we have some Edwardian Fashions that are found in Downton Abbey, and some of our pieces that are strikingly similar and you can order today! Just look at this stunning photo of Lady Mary in traditional Edwardian Fashion getup. Unless you know the pattern for her dress—which can be a nightmare to sew yourself—finding a look that is even remotely close to what Mary’s wearing here can be near impossible. But, Recollections has you covered. For dinner parties, the Grantham daughters always wear the most elegant of evening gowns. To keep up with the current Edwardian fashions, the ladies wore dresses full of lace and ribbons, and the dresses were marked with a high, empire waistline. Garden parties warranted a different kind of dress than simple daywear. White was the preferred color, with touches of pastels. Light and airy, these gowns were perfect for wearing outside in the cool spring air. 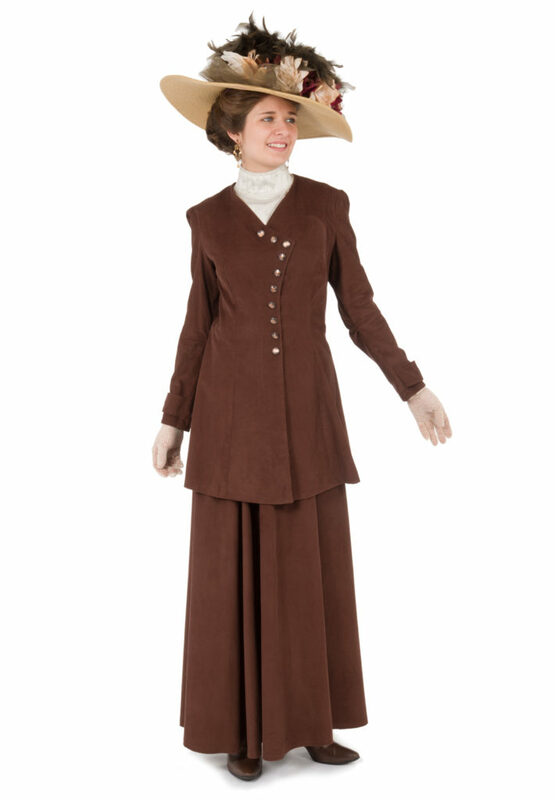 Recollections can recreate a typical outfit worn by Sybil or Edith at the annual picnic. Our Nadiya and Jewell gowns are fit for garden parties, and can be topped off with white lace gloves. Edwardian Fashion can be hard to come by in today’s world. Let Recollections help you build up your Edwardian wardrobe that’s inspired by Downton Abbey. We have pieces to fit every character and personality. 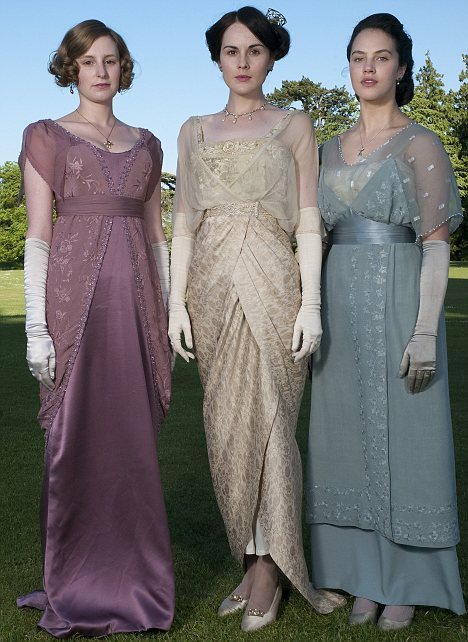 If you need some inspiration, check out our Downton Abbey style guide on Pinterest!